Congrats to these Affiliates on their recent accomplishments. 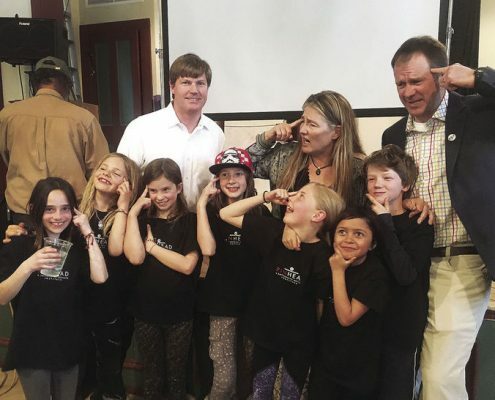 The Pinhead Institute won the first-ever Telluride Foundation Innovation Prize of $50,000 for its Climate Institute idea. The idea of the Climate Institute came about after Dr. Adam Chambers moved to Telluride and became involved with the organization as a consultant. The new institute will aim to reduce the area’s carbon footprint by initially focusing on emissions from the Galloping Goose buses, but the model can be expanded to focus on larger sources of carbon emissions like the Telluride Regional Airport. Co-Chairmen of the Museum of Latin American Art’s Board of Directors, announced that the Museum of Latin American Art has selected Lourdes I. Ramos Ph. D. to serve in the position of President and CEO. Mark Auslander, a sociocultural anthropologist, has been appointed director of the Michigan State University Museum. The Perot Museum of Nature and Science announced Linda Abraham-Silver, as the museum’s new CEO. Read all about it: Affiliates in the news! Things have been busy in Affiliateland! If you have a clipping that highlights a collaboration with the Smithsonian or with a fellow Affiliate, or a clipping that demonstrates leadership in education, research, or innovation, please email Elizabeth Bugbee to see if it qualifies for listing. 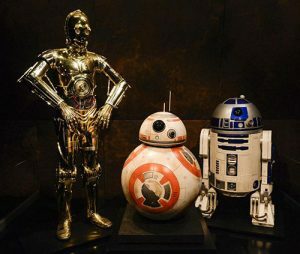 On loan to the Denver Art Museum from the Smithsonian Institution in Washington and the yet-to-open Lucas Museum of Narrative Art planned for Los Angeles, they’re part of the sudden fast rise of the traveling exhibition. “The Jazz Age” is an example of a classic Cooper Hewitt design exhibition — silk, diamonds, gorgeous furniture — given some new juice…The walking tour, planned for May 18, is presented by the National Jazz Museum in Harlem, a Smithsonian affiliate. San Francisco’s Museum of the African Diaspora (MoAD) is a Smithsonian affiliate, which means that MoAD has access to the Smithsonian’s 136 million artifact collection. MoAD deputy director Michael Warr thinks the new Smithsonian’s buzz will increase visibility for many related institutions. “When it’s getting this much love from the public, that type of audience participation from around the country and from around the world… being a professional in the museum world, we’re talking about that,” said Warr. A recent program had Reid Middle School students reaching for the stars with assistance from the Smithsonian Institution and Springfield Museum of Art. 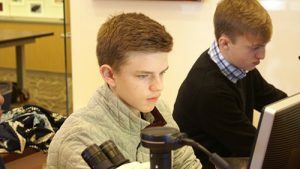 Youth Capture the Colorful Cosmos brought art and science together as students engaged in using robotic telescopes to photograph and colorize their own images of stars and galaxies like professional astronomers, interacting with real astronomers and scientists in the process. In addition to focusing on industries that thrived in the Lehigh Valley, the National Museum of Industrial History also has a fantastic collection of antique engines. These engines represent some of the most beautiful engines in existence, and many are on loan from the Smithsonian. “Death of Ruben Salazar,” from 1986, on loan from the Smithsonian American Art Museum, depicts the death of Los Angeles Times journalist Ruben Salazar. Salazar died during the National Chicano Moratorium March in 1970 protesting the Vietnam War after he was hit by a tear-gas projectile fired by a Los Angeles County Sheriff’s deputy. Creative Mind combined educational exhibit materials from the National Visionary Leadership Project, the African-American History Program, Smithsonian’s National Museum of African-American History and Culture, and the Arkansas Educational Television Network. The High Museum of Art will be joining the national tour for Yayoi Kusama: Infinity Mirrors, the first survey exhibition to explore the evolution of the celebrated Japanese artist’s immersive Infinity Mirror Rooms. Organized by the Hirshhorn Museum and Sculpture Garden, the Smithsonian’s modern and contemporary art museum, the exhibition will be on view at the High from November 18, 2018 through February 17, 2019. A piece of man’s first lunar landing is coming to The Museum of Flight. The Smithsonian Institution announced at a ceremony Wednesday that the Apollo 11 command module Columbia – the only portion of the historic spacecraft to complete the first mission to land a man on the moon and safely return him to Earth – will be exhibited at The Museum of Flight on the 50th anniversary of its Moon flight. The Smithsonian Institution announced at a ceremony today that the Apollo 11 command module Columbia–the only portion of the historic spacecraft to complete the first mission to land a man on the moon and safely return him to Earth–will be exhibited at The Museum of Flight on the fiftieth anniversary of its Moon flight. 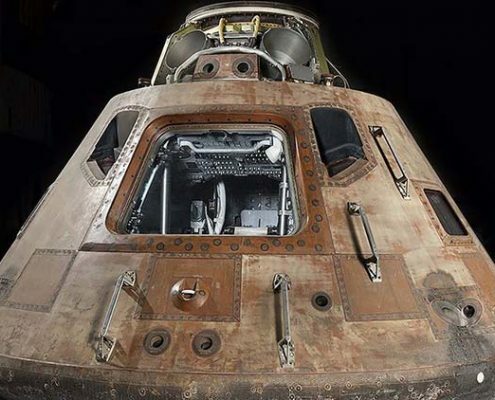 Space nerds, rejoice because your dreams are about to come true…It seems that the Apollo 11 command module is about to leave the Smithsonian for the first in nearly 40 years and go on a nationwide tour…include Space Center Houston from 14th October 2017 – 18th March 2018, Saint Louis Science Center from 14th April – 3rd September 2018, Senator John Heinz History Center in Pittsburgh from 29th September 2018 – 18th February 2019 and The Museum of Flight in Seattle from 16th March – 2nd September 2019.
https://affiliations.si.edu/wp-content/uploads/2019/03/si_Affiliations_rgb_single-line_color-280w-1.jpg 0 0 Elizabeth Bugbee https://affiliations.si.edu/wp-content/uploads/2019/03/si_Affiliations_rgb_single-line_color-280w-1.jpg Elizabeth Bugbee2017-03-29 15:30:542017-03-29 15:30:54Read all about it: Affiliates in the news!